December 27 is Saint John the Evangelist Day and Freemasons celebrate this day in honor of one of our Patron Saints. This date marks the second feast day of our year to celebrate the Holy Saints John. The Evangelist is also known as the Apostle of Charity which probably is, in part, his connection to our fraternity along with his strong resolve and purity of his love of the Divine. I find it particularly interesting that The Grand Lodge of All of England and its predecessor, the Ancient Society of Freemasons in the city of York elected and installed their President, then their Grand Master on the day of the Evangelist. In London, the Ancient Grand Lodge of England elected their new Grand Masters on the same day. In 1813, when the Moderns and Ancients came together as the United Grand Lodge of England, it was on the Feast of the Evangelist. So, take a few moments on the 27th to celebrate this most important person in our Craft’s past, present and future. 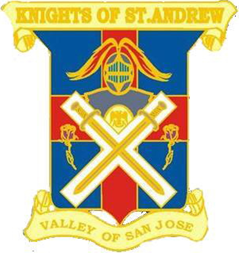 On December 4, the Valley of San Jose will hold it’s 23rd Scottish Rite Night of Instruction and Agape Dinner. I hope many of you can plan your busy schedules to attend this evening of education. All the details you need are found elsewhere in this Rite Word. This event is open to ALL Masons. 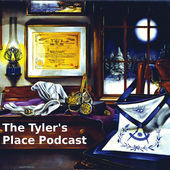 Bring a guest from your Blue Lodge. They will thank you for including them in this night of Brotherly Love. On November 13, this Valley held it’s sixth annual Military Recognition Night during the Stated Meeting Dinner. Two service members were honored for their military service and contributions to their respective Junior and Senior Reserve Officer Training Programs at Soledad High School and Santa Clara University. It was a pleasure to have several ROTC cadets join us. They were an impressive group. All veterans in attendance were recognized as their service anthem was played. It was a great celebration and one of my favorite events of the year. Enjoy the Holidays with your family, friends and Masonic family. Take time to assist those not as fortunate as we, it is the Masonic way.